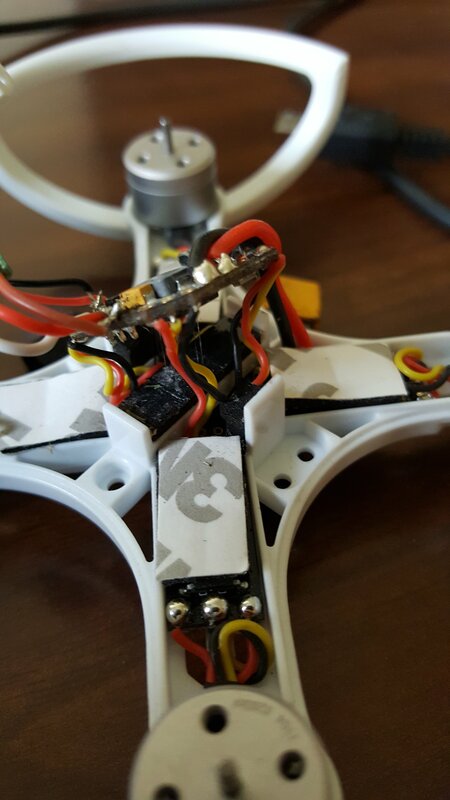 So at the ft open house I got a crashed gremlin that was missing one motor also a baby hawk figuring that I could get one flying quad but betaflight does not recognize either one. Any ideas? Either a bad (non-data) USB cable or a driver issue. How do you tell the difference on a non-data cable and a data cable? With a proper data cable, Windows will let you know the device is connected (ding) even if the drivers are not installed. All it says is failed to open serial port.? Are you sure you're using a proper USB cable? Have you installed the drivers listed on the betaflight home tab? So I finally got it to recognize it and all seemed well but now I soldered the rx in and it is going crazy on the controls section. Any ideas? It is a frsky xm plus and a jumper t8sg. So I actually just figured it out. My channels are all mixed up. The throttle is on the roll and some other things are messed up. Can anyone tell me how to switch the channels around? Go to the receiver tab in betaflight. There a box labeled channel map. Change and save that. If it doesnt work try another and repeat. There are only 4 choices. Takes maybe 3 minutes to change and check if you have to try all three untested mappings. The channel map is one thing, but everything jumping around like that is something else. 2 things I noticed from the video, you didn't save & reboot before you changed tabs so everything you changed was lost. Also, you are using a FrSky Rx, but selected Spektrum2048 as your serial provider, this should be set to SBUS. That wasn't my video but it looked just like it. Also I figured it out all it is some of the channels are switched up so all I need to do is unscramble them which I'm still not sure how to do. I got the board frome the gremlin right now but the baby hawk board is still gong haywire. Also do the v1.1 and v2. 0 take a different kind of ESC or is the wiring on the gremlin just heavier. I got the board frome the gremlin right now but the baby hawk board is still gong haywire. Post some screenshots of your configuration, ports and receiver tabs from Betaflight. Also do the v1.1 and v2. 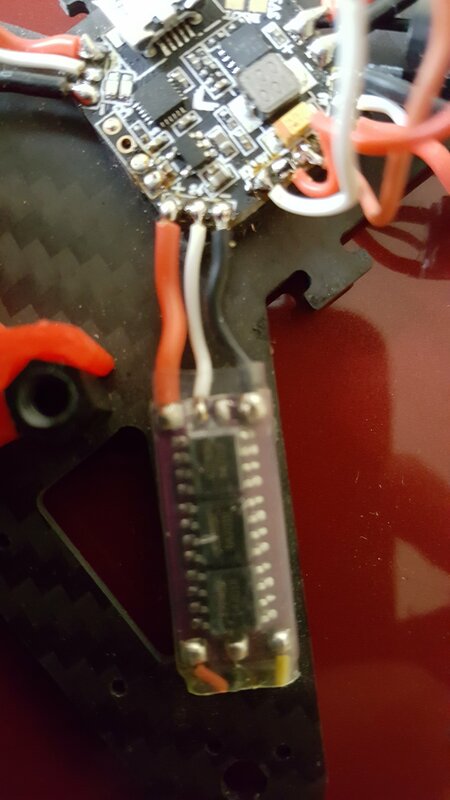 0 take a different kind of ESC or is the wiring on the gremlin just heavier. You can swap those ESC's around no problem. If you're mixing them though, you should make sure they are all using the samve version of BL Heli. I will get some more. Also do you think I can run 3s without toasting something.? Gremlins ( original) with the femto fc, 6a bullet escs, and 1104 motors can fly on 3s. Mine has been doing so since its second week of life. Several things you need to know before trying. The tiny jst power connector and wires dont cut it. You have to go to thicker wire and xt30 connector. This means your batteries will have to have them as well. Second you need to know how to tune a quad using pids. You can smoke these motors and esc in a few seconds on stock pids and 3s. If you do attempt 3s test EVERY change for 5 second hover, check temps, 10 second hover, check again, if you can get to a 30 second hover then you should be ok to work into flying. Again build up into higher power levels and check temps frequently until you are sure it is set up to handle the extra power.